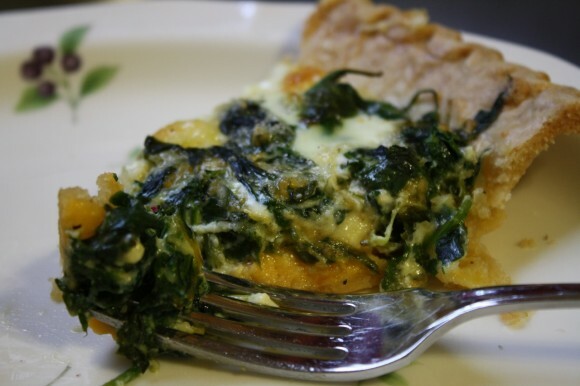 I’m sharing Mama Ann’s quiche recipe at $5 Dinners. Join me? With plenty of opportunities for luncheons and brunches coming up, don’t overlook the chance to make an easy quiche. It’s also a simple and frugal, last-minute supper to pull together. Especially if you already have store-bought, frozen pie shells on hand. The secret to its good taste is the pepper jack cheese. Plus, it’s my grandmother’s recipe, so you know it’s extra special. Another recipe from that red and white checked cookbook. Click over to $5 Dinners for ingredients and instructions. Oh, I love quiche and so does my vegetarian hubby but the kids won’t touch it. Sigh.